I have a serious case of the winter blues. It is pretty pathetic really. Our Christmas break was extended by 3 days because of severe cold weather and damage it caused across our county. I told you...it is pathetic. I have only been back at work for 10 days and I am WORN OUT already. Part of it has to do with observations hanging over my head, part of it has to do with TCAP's being right around the corner, and A LOT of it has to do with getting married in May. I love my kids, I love teaching, and I love getting to inspire little learners, but...I just have wedding/marriage on the brain! I am trying to balance it all and make sure I am my best for my kids everyday. 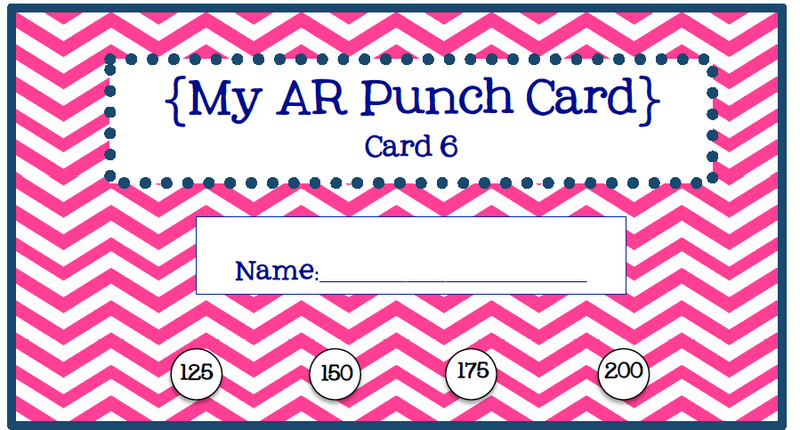 For all of you with the winter blues, here is a new product that I hope you can find helpful in your classroom. 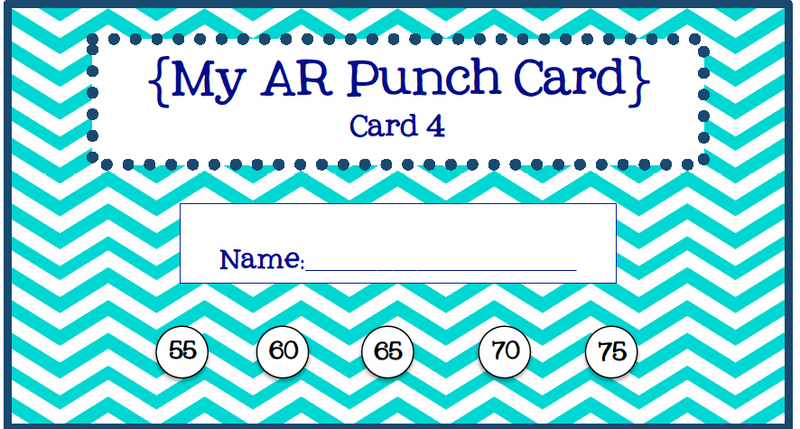 To motivate my kids to read, I made AR punch cards. 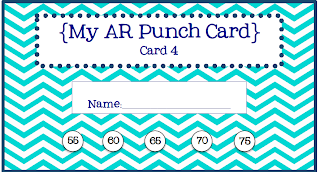 When they earn points, they get a punch in their cards. When they fill a card they get to retire their card and get a small prize. They have worked really well in my classroom this year! I have been very pleased. I have a lot of kids working really hard to get their next card. I hope that this is something that helps get your kids motivate to read! 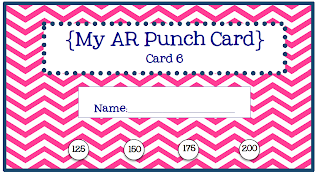 You can grab these in my Teachers Pay Teachers store here!